Managing your tennis team just got even easier with TennisPoint's mobile app. 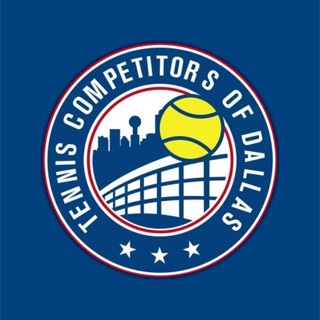 Your tennis team's schedule, match lineups, availability, team communications and match location are all now within quick and easy reach with our mobile app. * Team Schedule -- dates and locations of all your matches with a summary of points after the match. * Match Lineups -- view the full lineup for each match. Find out which line you are playing and what you need to bring to the match. Once scores are entered, you can see how each line did as well. * Match Confirmation -- Captains get piece of mind knowing their players will be at the match... go ahead and confirm that you will be at the match directly in the app! * Match Availability -- set your availability for each match with a single click. View the availability of your other players as well for that match. * Match Directions -- know exactly where you are going for your upcoming match. ALTA specific directions and other player reviews are also included. * Get driving directions through your navigation app with quick click of a button. * Player Roster -- have all your players contact information with you. Call them, text them or even download their contact details to your phone's contacts. * Create Email - send a quick email to all of your team or just one or two players. * Create/Edit Match Lineups - create your match lineup through the app quickly and easily. You can select who is playing which match line and also enter what each player should bring. Need to change the lineup, you can do that as well. * Create/Edit Match Scores -- Want to keep track of the match scores while your team is playing... great you can enter the scores line by line one at at time. Incredibly easy to use! Managing your tennis team just got simpler! Trusted by thousands of teams with over 15 Million games logged on TennisPoint.com. Many improvements and a couple of bug fixes. * Linked accounts... got a child playing on a tennis team too? You can link their account to your account so that you can easily bounce between parent/child accounts! Yep, truly making things quicker and easier! * Send and receive SMS Text Messages with your team's players - you can even purchase sms text credits in the app. * Teams page is the default page now when no items on your account "dashboard"
1. Please allow captains to deselect players not in the lineup when sending out lineups. You can do this from the site, but not the app and my players don’t want to be bombarded by emails when they have plans for the weekend. 2. Please give captains the option to print blank scorecards from the app. Modern day printers will allow you to print from mobile devices over a WiFi connection. 3. I know the site has posted that they’re working on auto input of USTA scores, but it’s really tedious as a captain to have to input these manually, especially when we’ve already done so once a match through the USTA site! Please continue to work on this! All in all, my players like the ability to change their availability through the app and find it more convenient to use. We switched from netlineup (although I never used their app, just the site) and plan to stick with TennisPoint for now. Thanks for the items and details.... latest changes coming to the app in review presently. 1. When creating a lineup, you get the option on which lines to email but unfortunately on a "edit lineup" you don't get this option. We will add this to our development list. 2. Score cards - latest version in review with Apple does have the ability to print a score card. 3. Importing USTA scores - in the last development steps of this so hopefully it will be completed soon! I like the convenience of the app over the website but the limited functionality for captains makes it much less useful than it could be. Please show me all upcoming matches regardless of whether I am in the lineup or not. As a captain I want to be able to see all matches so I can make changes easily. I have to click around to get to see and edit lineups which is annoying. Agree with another comment about choosing who to send emails to for lineups and just general emails. Would be really useful if I could email just my players that days lineup to alert them to a rain out. Right now I have to login into full sure to do this. Hi Alisfo, thanks for the comments... unfortunately the small screens forces us to put "each match" on a single view where on the website we are able to put all matches on a single big screen. Emails - latest version does have a "check/uncheck all" for the players. We also have an "email" option from the "match lineup" page that will allow you to more quickly send a message to those players in the lineup. I appreciate when teams use the app but I have one huge suggestion. I would like to see a calendar of when each my teams have matches. If I get put in a lineup I need to quickly know if I have indicated my availability for other matches on that same day so i can make myself unavailable. As it is now I have to cycle through every team to make sure I update my availability. Using a calendar function I would like to see each team’s matches in chronological order. Also, when I look at the schedule on the mobile app I cannot see the times of the matches. It’s a great app but still needs improvements.